Fixes fast boot and enabled by default to reduces unnecessary retrains. We have the usual LN2 Mode Jumper and Slow mode switch as seen below. What’s new are the Safe Mode Button and the Retry button. Both these buttons function very similarly, once pressed, the system would immediately shutdown and power on by itself. - Retry button powers up according to the settings set in the BIOS. Both do not clear the settings you have saved in your BIOS. When you finally want to give up trying to boot at a certain setting, the Safe mode does it for you without you having to waste time pressing the power button for 4 seconds. The retry button lets you retry booting at tough to boot settings. An example is getting a hang at post code ‘bf’ when trying to boot with tough Memory settings. A lucky boot will get you to boot successfully so pressing the retry button here can save you time in getting a post. It can also save you time at a processor hard lock whereby the reset button gives no response. Many times when pushing DRAM Frequency, you will get stuck at post code ‘bd’ or ‘bf’ or ‘b7’. When stuck at ‘bd’ or ‘b7’, pressing reset to keep retrying will often help you boot up. This is very useful as even a bad CPU may have a good core within. There is no specific tendencies as to which one, I have seen good ones all over the place, so test each core individually. First off, do not confuse Base CLK with your PEG/DMI Frequency, this PEG/DMI Target Frequency is shown on the top of the menu. Typically, you will only have ~5% margin upwards and downwards of 100MHz for the PEG/DMI Frequency, which translates into 95~105MHz BCLK on the 100Strap, 119~131 BCLK on the 125Strap, and 159~175 BCLK on the 167Strap. 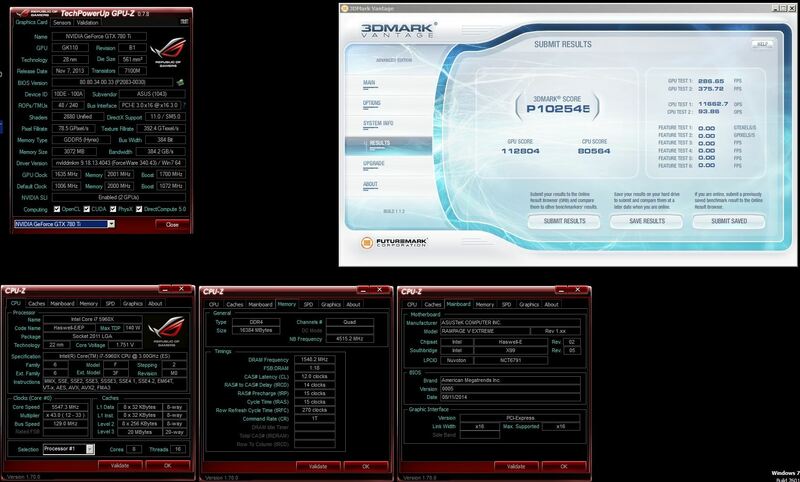 When pushing High BCLK, some CPUs require a 1.85v+ ~ 2.2+v level here to work. Especially when pushing both CPU Frequency & BCLK (160++) you want at least 1.75v or more here. When just focused on maxing out BCLK, you can try low CPU Input voltage like 1.65v and match it with 1.85v PLL Termination voltage. 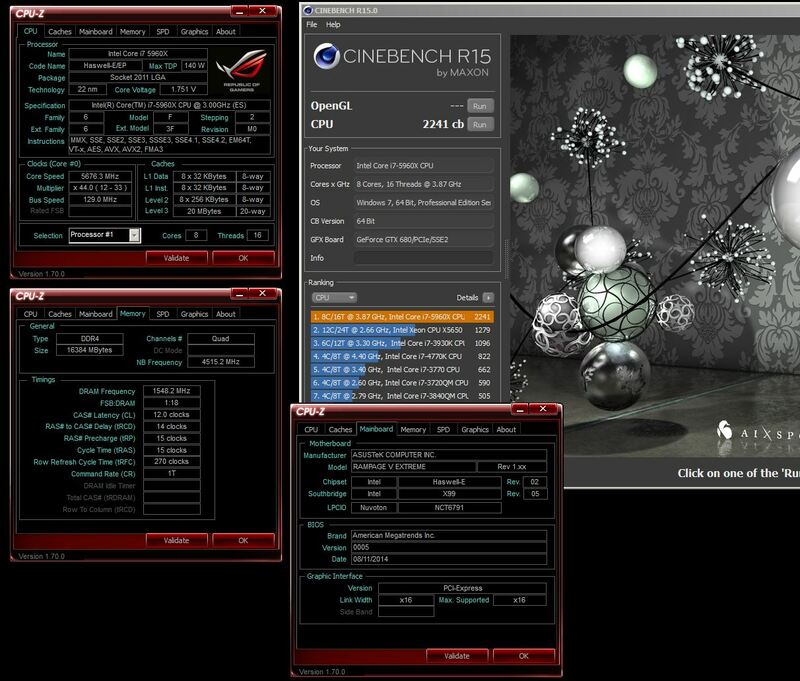 This will also affect CPU Frequency overclocking and even cold bug. Some CPUs cold bug later at 1.75+++v, some with really low voltage such as 0.500v here. 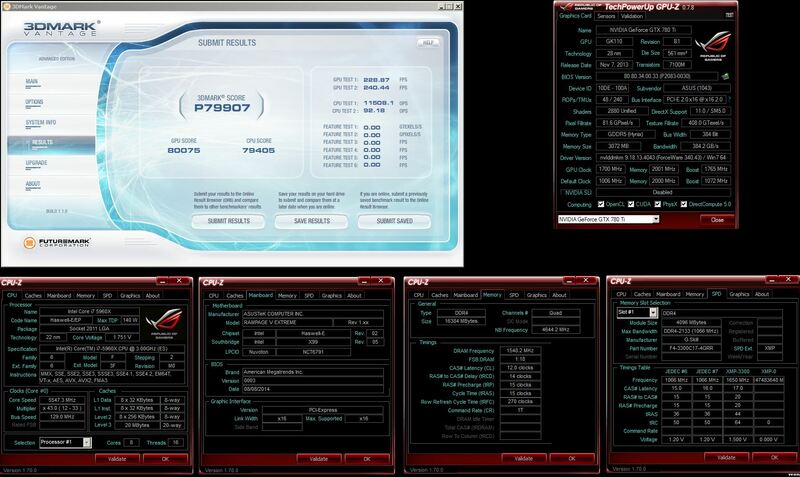 The best overclocking DRAM Ratios are the 2400 ratio and below most of the time. The Higher Ratios may not work as well. Cache Frequency must be at least half of DRAM Frequency, which means at least 12x ratio with 2400 Ram ratio, at least 13x ratio with 2600 Ram ratio and so on. DRAM Voltage’s sweet spot depends on the IC and even the frequency at which you are running at. Most times, below 3100MHz, 1.65v to 1.85v may work for Hynix, even though 1.50v is more than enough unless you are using super-tight timings. Above 3100MHz, you want to be around 1.50v range for Hynix, unless the DRAM module is under LN2 at which even 1.85v may help. For Samsung however, even above 3100MHz, 1.65v may work well and 1.85v may help you boot at 3600+ MHz. VTTDDR is best at around half of DRAM Voltage. VPPDDR is default at 2.50v and I have not found much help overvolting this rail. Attempt Fast Boot is handy for skipping unnecessary retrains during warm resets. Suggest that you would enable this. As usual we have Memory Presets for the major IC vendors, Samsung, Hynix, Micron, so that you can have a start point for tweaking. You can be comfortably benching at 3400MHz with either Samsung Single-Side or Hynix Single-Side. Samsung DDR4, like its predecessors, don’t like much cold and perform worse after around -10C or so. 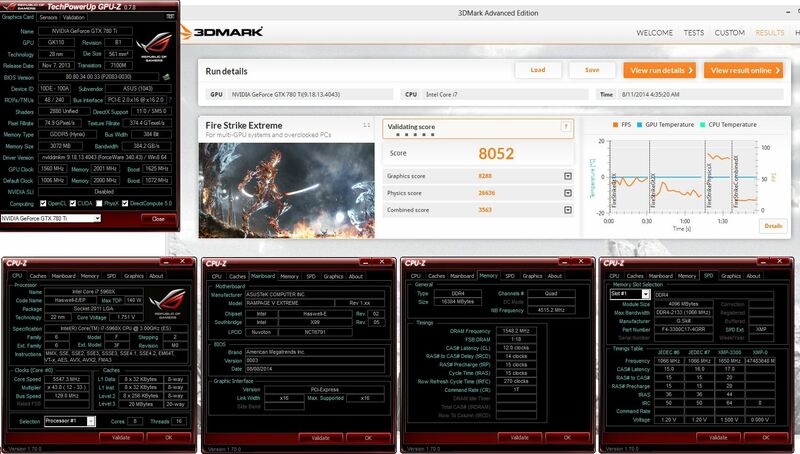 Hynix DDR4, like its predecessors, likes cold and performs better when cold. I have not found Hynix to cold bug yet. 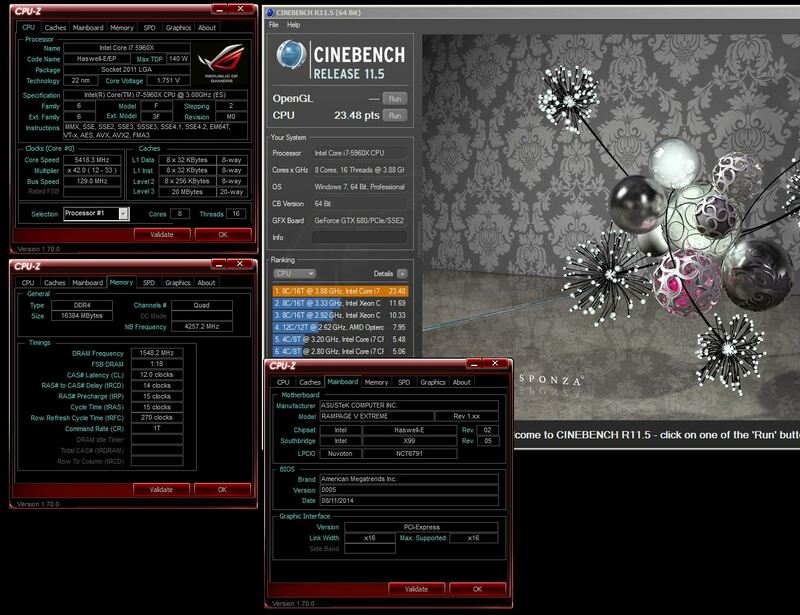 For Benching 3D, I have a slight preference towards Hynix as it does a TCL clock less than Samsung at the same frequency. 2) Set CAS# Latency to 9, Write to Read Delay L to 3 and DRAM Write Latency to 9 and Save and Exit. 3) If it boots up then you have MICRON IC DRAM, IF it fails to boot, then move onto step 4. 4) Set DRAM Frequency to 1600MHz and set DRAM Voltage to 1.20v. 5) Set REF Cycle Time to 140 and Save and Exit. 6) If it boots up then you have HYNIX IC DRAM, IF it fails to boot, then you have SAMSUNG IC DRAM. 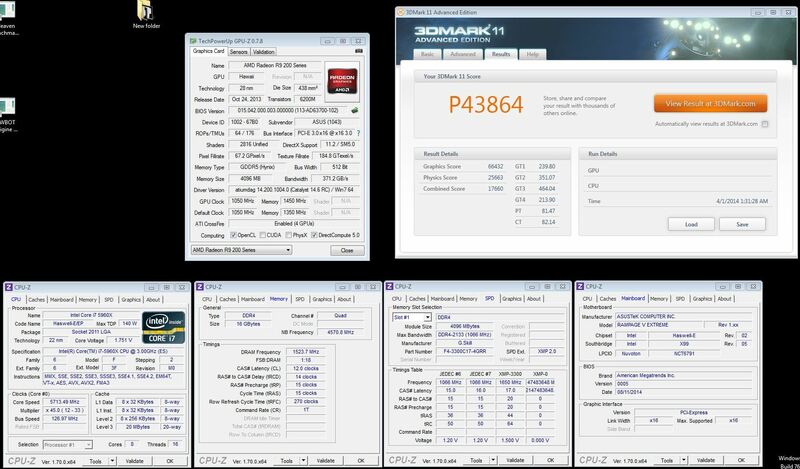 Since you are relatively new to DDR4, load RAW MHz Profile first to see where you DRAM module tops out. - The Safe mode button saves you time and triggers a shutdown and bootup in Safe mode when you give up trying to boot at certain settings. - When a heavy load such as PhysX/CPU test comes and the system shuts down and powers up by itself, this is due to the OCP on the PSU being triggered with a high transient load. You will need to change out a PSU or lower the load line so that CPU input voltage droops when the load comes. - Sometimes a certain DRAM Frequency is just tough to boot due to clock and RTL combination, and going higher actually boots up fine, so try higher as well. - When Pushing Single Stick of DRAM, the best slot to use would be Channel A red slot, the red slot most left. - When just focused on maxing out BCLK, you can try low CPU Input voltage like 1.65v and match it with 1.85v PLL Termination voltage. - Note that 13x~17x Core and Cache Ratios are buggy and can be unstable to don’t use those ratios. 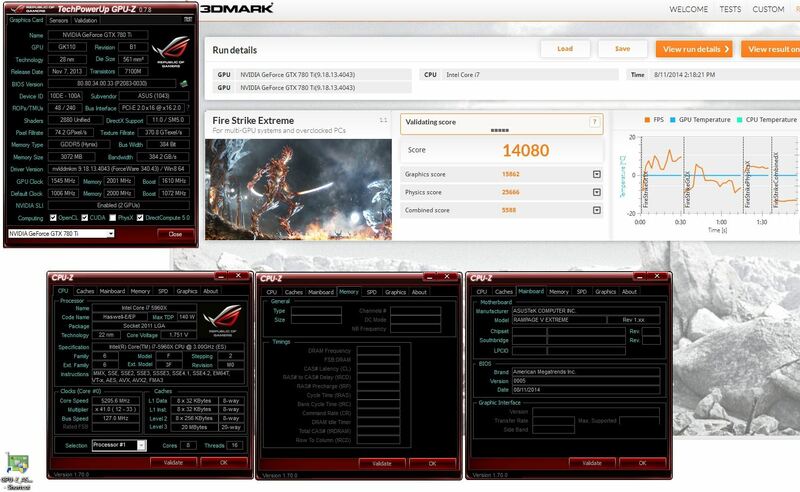 - You may find Game Tests and Physics Test liking different temperatures on the CPU, maybe -95~100C for GT, as cold as possible for PT. So while PT is loading, set Pause ON with OC Panel, pull CPU down to colder temps and unpause. 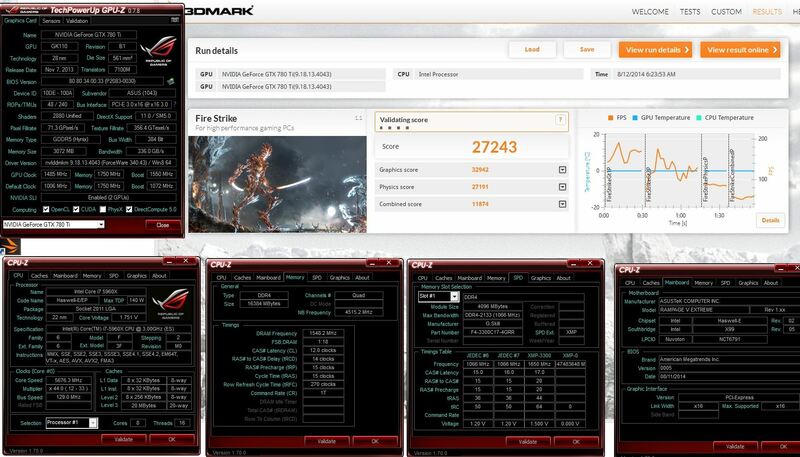 - The best overclocking DRAM Ratios are the 2400 ratio and below most of the time. The Higher Ratios may not work as well. - For Win XP, Disable Speedstep in the BIOS to get the Turbo Ratios to work. 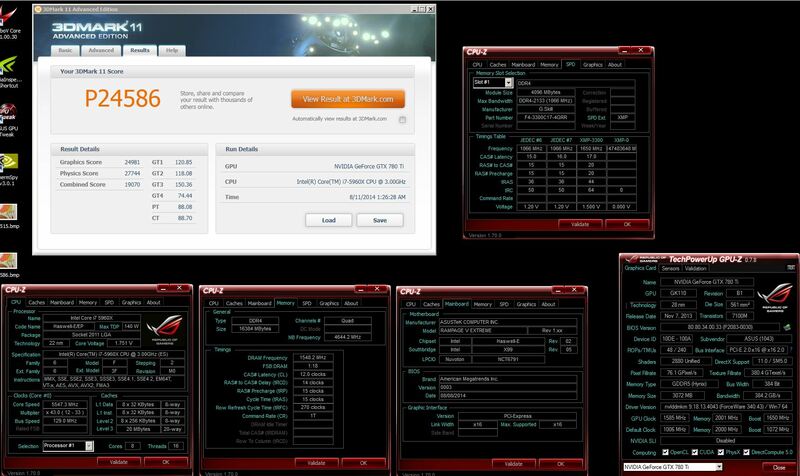 - A lot of times, booting up too cold (say -130C), the CPU trips out and you’re stuck at 12x CPU Ratio in the OS. You will have to warm up and you will see the ratio come back to normal. HWBot links for now, I'll post screenshots when I get home from work and have access to a better PC. Member of the Overclock.net Lab Team! Sign me up, buying it asap. 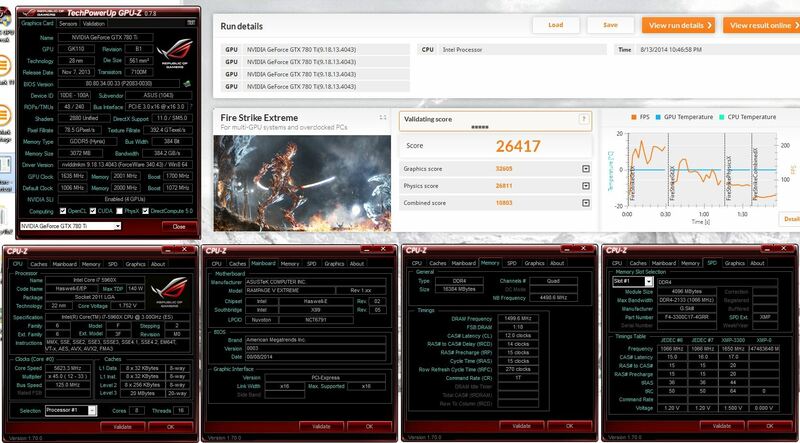 yep i just love the rog series ..cant wait to get mine with the 8 core beast . 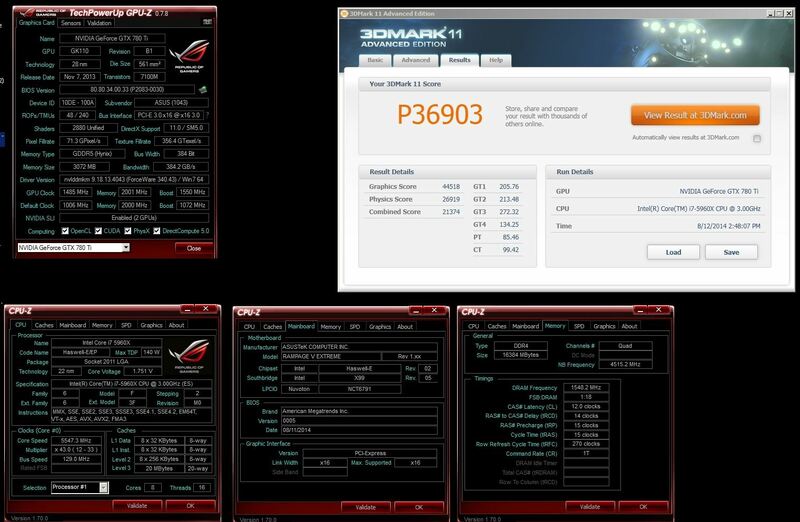 the review unit is yours , what cpu the 8 core beast , pls share details if possible . What is the chance that Asus has included USB 3.1 on the board??? When can we expect the official specs to be released?? 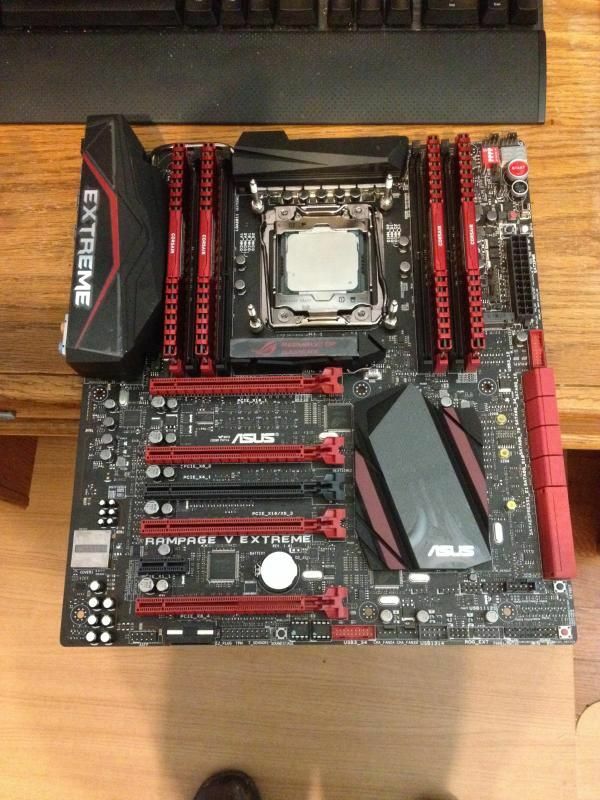 Is it gonna be on newegg today or do we have to wait months like the z97 board. Put up several score links, also look at the HWBot home page for scores from 8Pack, Wizerty, Slamms and Hazzan. 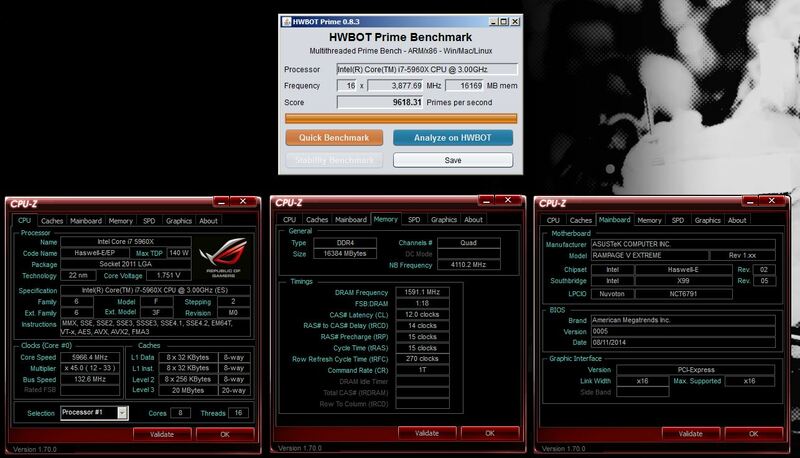 There will be more WR scores coming from them using this motherboard. Put up several score links, also look at the HWBot home page for scores from 8Pack, Whizerty, Slamms and Hazzan. 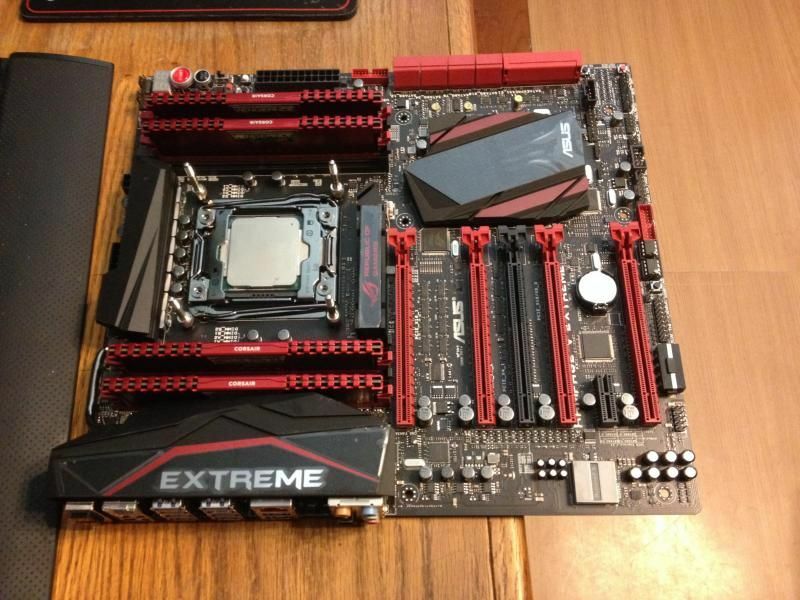 There will be more WR scores coming from them using this motherboard.